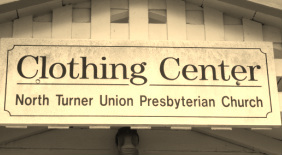 The North Turner Union Presbyterian Church has always been a center of outreach in this community and we strive to serve our fellow citizens both in and outside of our church community. We do so in many and varied ways including holding four or five community suppers each year and working on other community events. We also support Teen Challenge in Winthrop which is a rehabilitation program for young people suffering from addiction. The program centers on Jesus Christ, clear work ethics and clear understandings of responsibilities. We have also begun quarterly collections of personal care items such as shampoo, conditioner etc. for women who have escaped domestic abuse situations but have not yet mainlined back into the community. This program is run out of Lewiston-Auburn and also supports local Turner women and children. We also organize and run the Community Clothing Center and the Turner Community Food Pantry. Both of these programs help those in the local community with the basic needs of food and clothing. The Community Clothing Center is located on the town green in North Turner on Route 219 about 1/2 mile east from the Route 4 and Route 219 intersection. In this historic building which once served as the village's bandstand, donated clothing is sorted and displayed for those who are in need of it. 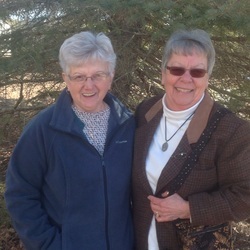 Shown at left are Deacons Brenda Mullins who heads up the organization and constant work of the Clothing Center and Marie Duncan, who works at the Center a great deal. We are open each Wednesday night from 6 to 8 p.m. In case of an emergency such as a fire, it will be opened upon request. The Center is open from May through October. Items are generally 25 cents with some being priced from $1 to $2. We have a special bag sales at various times throughout the season when customers may fill a bag for $1 or $2. that goes with it each year from May through October. There is no heat in the building, so winter sales are not possible. The building is kept up by the Town of Turner for this community outreach work. The limited proceeds go into the Deacon's Fund of the church and are used for various projects such as Thanksgiving Baskets, heating oil assistance and camp scholarships. Anyone who is in need or just likes a bargain is invited to drop in on any Wednesday evening! We do appreciate donations but please take note - we do not accept leftovers from yard sales or household goods such as lamps, dishes etc. We do not have the room! But please do think of us when you clean out your closets and especially when the kids outgrow jackets, boots etc. Thanks! 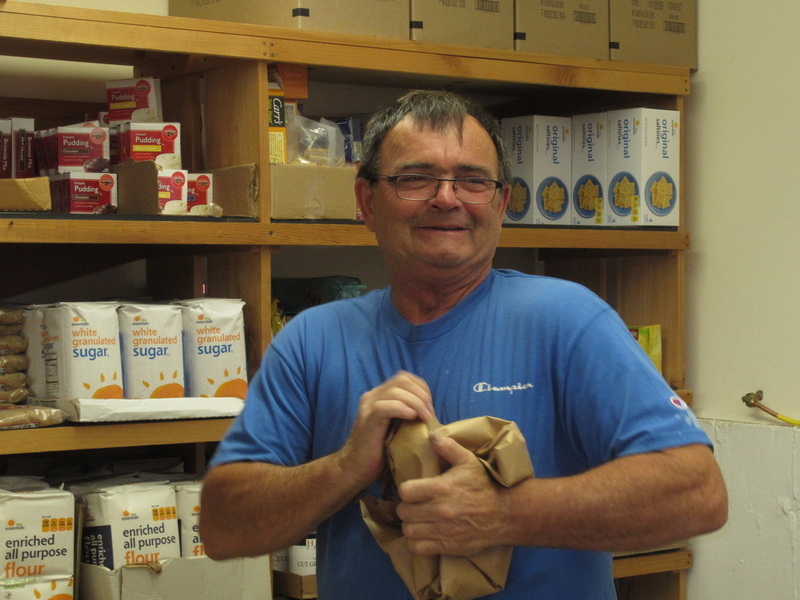 The Turner Community Food Pantry is operated and manned by volunteers from the church. It is funded by very generous private donations, by a yearly donation from the taxpayers of Turner, donations from several local civic organizations such as the Scouts, ATV Club and the Masons and through the use of the Good Shepherd Food Bank and various government programs. 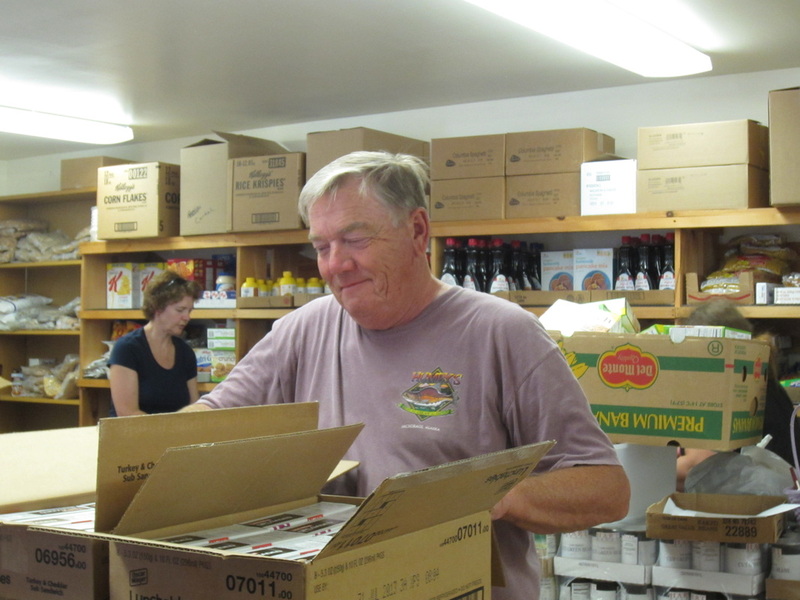 The use of the Food Pantry is limited to those who financially qualify under terms set by the town. Space for the Food Pantry, which includes freezer items as well as pantry items, is provided by the Town of Turner at the Boofy Quimby Memorial Center on Route 219 in North Turner. It is open the fourth Wednesday night of each month from 6 to 8 p.m. and can be opened in case of emergency. In addition to opening the Food Pantry, our volunteers also coordinate the purchase of food items, their pick-up and delivery, meeting with children's groups who wish to help there and doing the large amount of paperwork that is required by the various government programs and being responsible for the use of donations and the fiscal accounting. Anyone who would like to use the Food Pantry is asked to inquire at the Turner Town Office as to eligibility and required paperwork. Give unto others as you would have them give unto you!